Recognising the timely need for corporates to start giving back to the environment around us, Commercial Leasing & Finance PLC (CLC) has made a timely initiative under the title ‘CLC Green – To earn sustainable profit’. As a member of the LOLC group, CLC Green’s initiative is in accordance with the wide-reaching sustainability campaign headed by LOLC’s own Sustainability Committee. With the aim of conserving Sri Lanka’s biodiversity and enhancing the natural eco-system, this new initiative will also go some way in raising the living standards of the island’s inhabitants across the country. In fact, CLC Green will go beyond just reforestation, as it also aims to teach the next generation the importance of the environment around us. 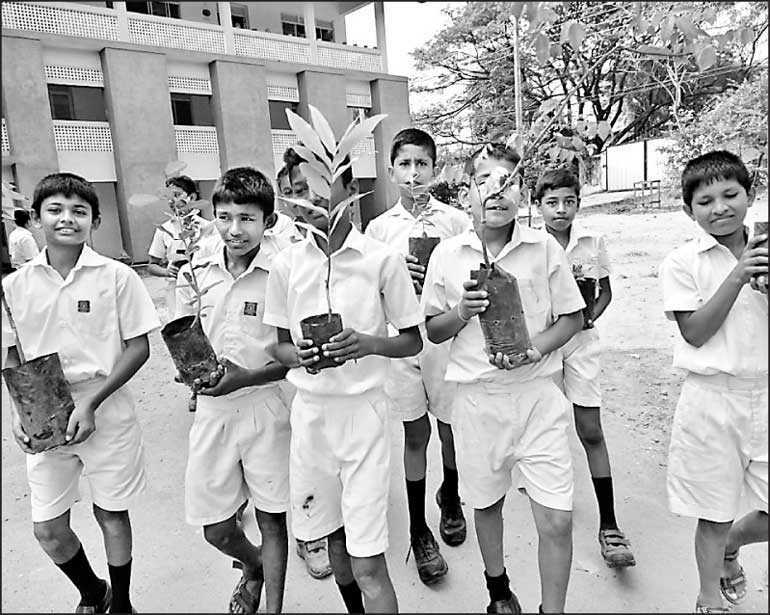 Under the first phase, 60-100 schools in all 25 districts also taking part in CLC’s green initiative. which will see the plantation of over 3000 trees, schools will be identified and presented with trees to be erected in their premises. One unique aspect of the project is that each CLC branch will be incorporated under a branch-by-branch program, as each school identified will be within a two-kilometre radius of a Commercial Leasing and Finance Branch. “By identifying schools that are located nearby our branches, our staff will not only give their support to plant these trees but we will also work together with each school to cultivate and ensure the care of each and every tree.” It was also stated that all the respective branches are now involved with a stringent review and monitoring process on the schools assigned to them, in order to make the project a success. Whereas the best performers within the project will be awarded the CLC Green Award, which will be presented to both the best schools, as well as the best CLC branches. Further he mentioned that in addition to the trees, each school under the program will also be allocated fencing and fertiliser, to ensure that the protection and growth of each sapling is guaranteed. The second phase of the project will involve the recognition of those who have contributed positively to the growth of their trees, as well as recognising good maintenance habits in collaboration with the school, and their appointed monitors. 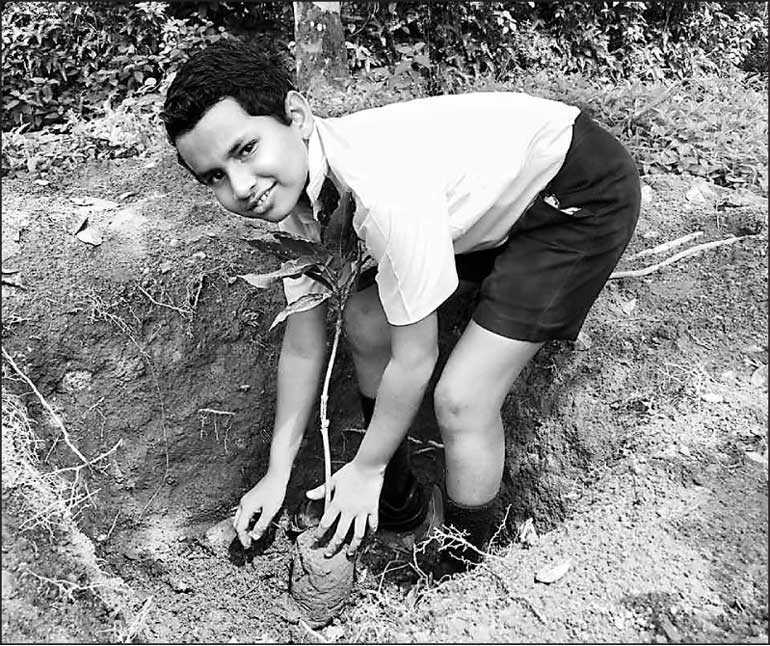 The initiative commenced with the planting of over 100 trees at Royal College, Pollonnaruwa. The event was met with much enthusiasm, and saw the participation of the students, school staff and the ‘Parisara Bata Kandayama’ of the colleges, with the extensive support from principal of the college Ravi Lal. The trees planted included many fruit-bearing trees including mangos and guavas, as student were individually assigned trees to look after until graduation. 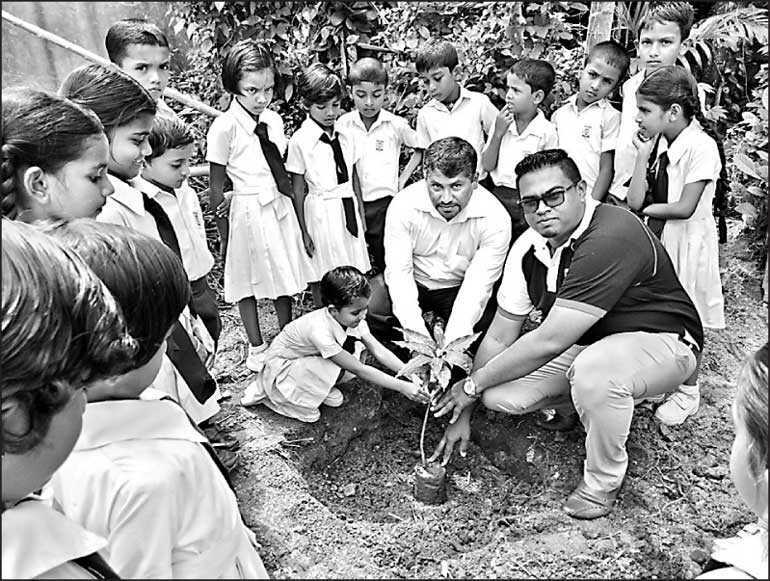 The project further stretched towards Pitigala through Indipalegoda M.V and Himbutugoda K.V in Pitigala with the support of respective school principals Chandrasiri P. Hewage and Mangala Jayasinghe and also towards Thambuththegama through Nallachchiya Viddayala and Thambuththegama primary school. Commercial Leasing & Finance PLC (CLC), a member of the LOLC Group, is one of Sri Lanka’s leading financial service providers offering solutions ranging from leasing, fixed deposits, savings, loans, Islamic Finance, Microfinance, Flexi Cash to factoring. With 63 branches spread across the country, CLC has become a trusted brand, synonymous with stability and dependability. CLC plays an invaluable role as a key catalyst in financial empowerment.